Adult Coloring is an activity that is typically recommended by many people in the medical field for relaxation and stress relief. There have been several studies about coloring that have indicated the health benefits it can have, from lowering blood pressure to decreasing your stress hormone levels. We don’t need to look at any scientific studies to see that there are some inherent benefits to this new coloring phenomena. Once pick up your first colored pencil to begin coloring a new coloring book for adults, you will probably start to feel the amazing benefits. The following are common benefits that adults declare from coloring. We all have a million things going on in our mind. The restlessness of the mind is the reason why most of us are stressed out. Many of us have no outlet for this chaos when the responsibilities and worries pile on top of each other, day after day. Meditation can be a powerful relief to all this mental anguish. However, many are intimidated by meditation, and it does take some practice to learn to finally still the mind. Rather than meditation, many adults are beginning to color to take the place of a meditation session. It can accomplish very similar things by allowing the mind to relax completely. Coloring not only allows you to express your creativity, which is a stress reliever by itself, but it also allows you to have a calm mind during (and possibly after) the coloring session. Most adult coloring books have intricate designs, so the coloring that adults do is very detail oriented. It allows many people to zone in on the intricacies of the artwork and coloring. You start with a picture that is made up of small spaces to fill in. Instead of being unstructured and forcing you to be completely creative – the way drawing on a blank piece of paper or canvas would be, you only have to color in the lines. You don’t have to create anything or make any decisions except what color to use next. All you have to do is fill in the spaces and follow the patterns, which is incredibly relaxing to many people. This relaxation effect is thought to be due to the decreased amygdala activity. The amygdala is directly related to our stress response. It is where your body sends stress signals to, which then interprets the stimuli. When the amygdala perceives something as dangerous, it sends the stress signals to the hypothalamus. The hypothalamus, in turn, acts as a controlling center of your nervous system to cause all types of different reactions to this stress. When we are always thinking about stressful situations in our life, it affects our amygdala and hypothalamus. However, when we can have a calm mind, these stressful thoughts won’t have a chance to interact with our fight or flight systems of the body. Since coloring allows us to zone out and have a clear mind, it is believed that our mind can enter into ‘stillness’ and take some pressure off the amygdala, and thus the hypothalamus. Coloring also is thought to reduce cortisol levels in your body. Cortisol is the “fight or flight” hormone. Along with adrenaline, cortisol gives you the energy and clarity to take quick action and get yourself out of danger, if you are in danger. However, for many people in the modern world, our high-stress lives result in many people having heightened cortisol levels. Our bodies weren’t meant to have these levels of cortisol levels, and it can cause some imbalances. Our bodies are made to have elevated levels of cortisol only rarely, and only for a short amount of time. After we are safe again, cortisol levels are supposed to go back down. However, we are highly intelligent beings, with highly active mines. A life full of deadlines, rush hour traffic, bills, and even high-adrenaline movies can cause one to have continuously high levels of cortisol. The health implications of this are problems like high blood pressure, increased risks of heart attack and stroke, depression, etc. 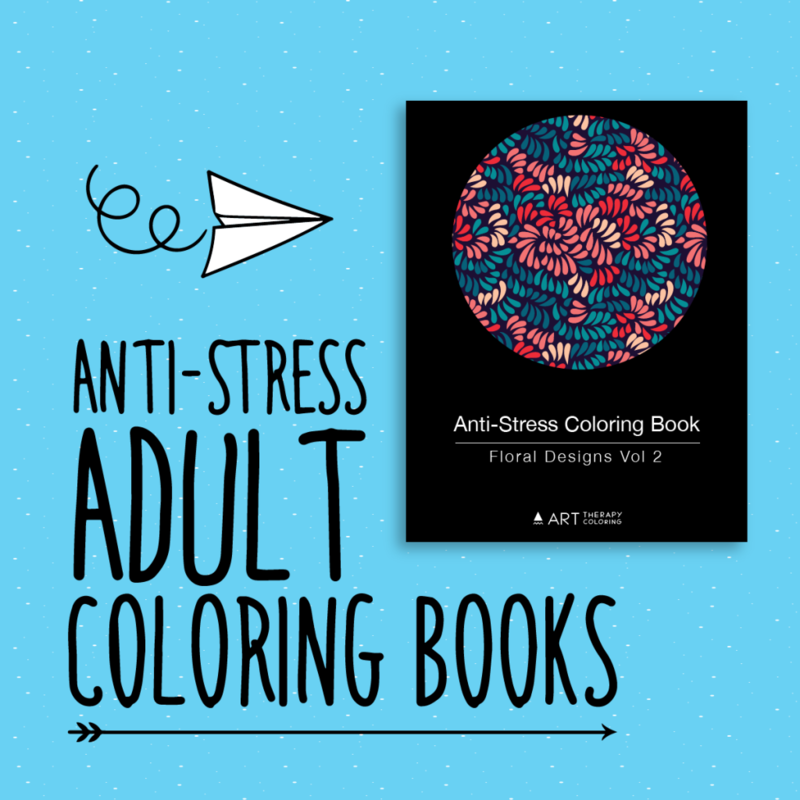 Even one short coloring session can possibly reduce the amount of cortisol in the body. A regular coloring practice is even more preferable so that you can derive benefits of coloring over a longer period. You may even find that you don’t get as stressed out by deadlines or annoying coworkers anymore! For years, adults have gotten together to socialize. It’s usually accompanied by a cup of coffee or glass of wine. However, now adults are beginning to bring their adult coloring books along! Coloring has become a very popular new social activity, and for good reasons. Coloring in a group can be more fun than doing it alone! There is a huge trend of adults that are getting together in groups and coloring. If you haven’t done this, we highly recommend it! And hey, you can still have your coffee or wine! Many people color before going to bed at night. This is an excellent way to wind down and quiet your mind before you go to sleep, so that once your head hits the pillow you will be able to drift off without your brain going in a million directions all at once. If you color right before bed, there is also another benefit: it means that you are not looking at your phone or computer right before bed. Studies have shown that the blue light from a computer screen or a phone screen inhibits the production of the hormone melatonin, which is the hormone that regulates sleep and lets us go to bed at night. Low levels of melatonin are associated with a variety of health problems, from insomnia to obesity. If you can replace your before-bed phone habit with a before-bed coloring habit, you can potentially benefit from increased levels of melatonin, better sleep, and a healthier circadian rhythm. Coloring has been used for soldiers with PTSD, to help them transition to conventional art therapy for PTSD treatment. Traditional art therapy, while effective, can be too stressful for patients who are not used to creating art. The act of sitting in front of a blank piece of paper can be overwhelming. The task of creating a new piece of artwork is not something that everyone is up to, especially if their creative spirit has been locked up and supports see for too long. 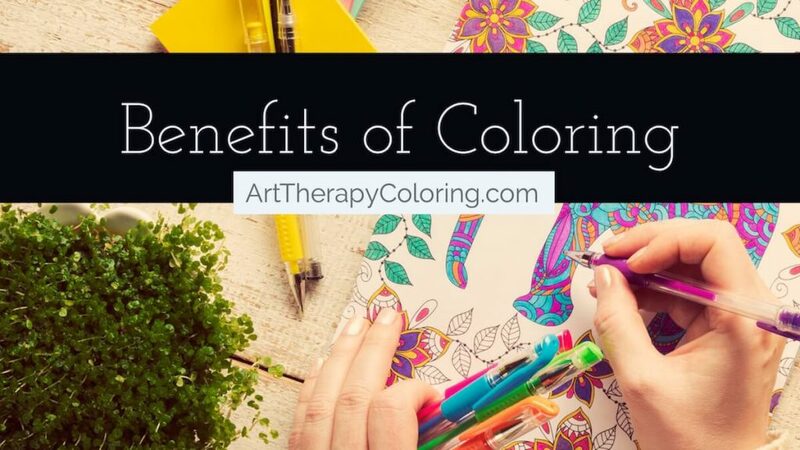 Coloring provides a lot of the benefits of traditional art therapy, including the connection to one’s creative side and the confidence that comes from creating something beautiful, without the pressure and stress of being expected to draw something new. It helps people gain confidence and enjoy creating artwork, especially if they otherwise would not be able to relax and create something. Coloring is not the same thing as traditional art therapy, but it is very therapeutic. It has many of the same benefits as meditation but is much easier to do than meditation. 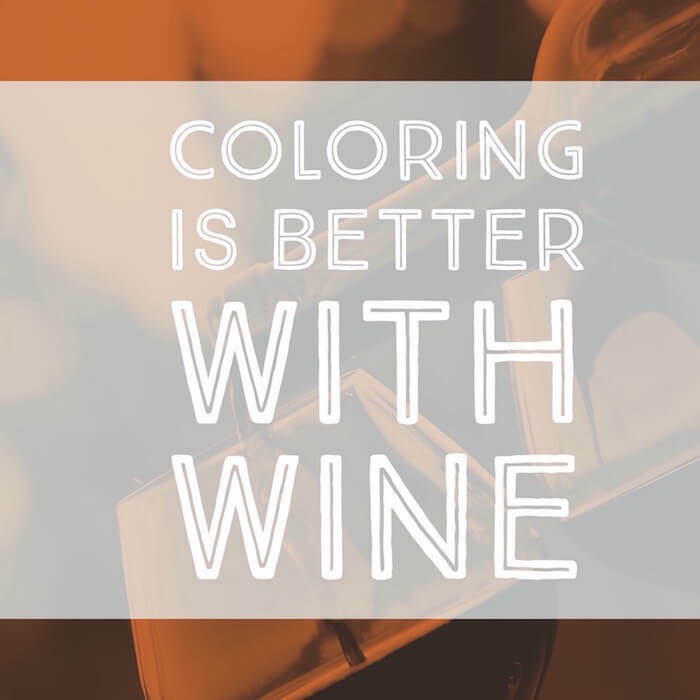 Try it and see for yourself what benefits you can get from coloring! Though it is easy to multitask while coloring, paradoxically it can also assist in learning to focus. The biggest part of the act of focusing is to zone in on one task, and only think about that one thing. What coloring does really well, is it helps you clear your mind and allows you to focus on the task at hand – coloring. Teens are also getting into coloring, as well as adults. So you can be happy that it can potentially increase their focus in other areas as well, along with fostering their creative side. This benefit of coloring is a great one in my opinion. I think that many adults are deprived of any creative activities. Sure there are plenty of people that have creative hobbies and have a job that allows for their creativity to blossom, but most people don’t. 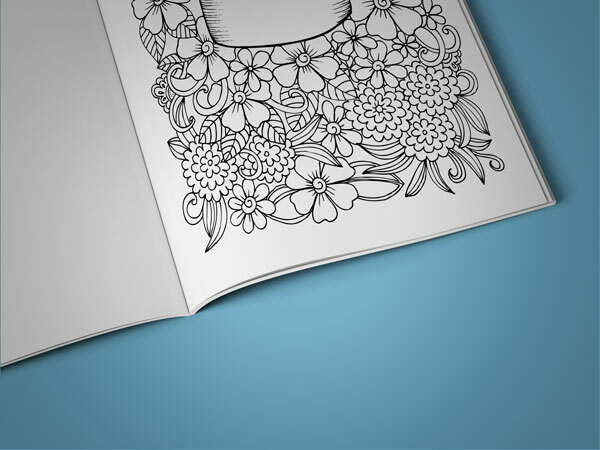 Adult coloring books are a great way for the average person (whether they view themselves as creative or not), to enhance their creative abilities. I believe that creativity is inherent within all of people. However, I think it takes practice to get through the common barriers to creativity. The people who are considered “creative” are typically individuals who have merely exercised their creative side. Coloring is a great way to practice your artistic/ creative abilities. The more you use that part of your personality, the more creative you will become. These creative skills may also transfer into other areas of your life. You may start to become more creative in your job, your business, or in any other area of life. It is all about letting the creative juices flowing, so they continue to flow. Even if you don’t think you have a creative bone in your body, most people would be surprised by what they are capable of. You just have to start the process of coloring to get rid of any potential barriers to your creativity. This is similar to the benefit of creativity. However, it is slightly different because it allows you to show your uniqueness. Everyone has a unique nature, individual preferences, unique way in which you express yourself and your coloring! It is a profound thing and one that you should embrace. Color outside the lines or color inside the lines. Add some shading. Only color in different tones of blue. Do what you feel like doing because as much as coloring is about creativity and relaxation, it is also about self-expression; show your true colors!